Closterium is easy to spot and identify under a microscope. 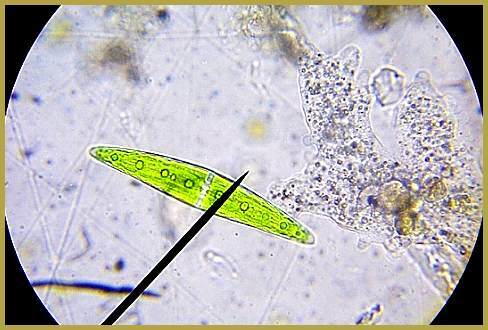 Its green chloroplasts and crescent shape are unmistakable identifiers. The poles (ends) of the cell contain granules of gypsum, and with a steady eye and good magnification one can see the granules vibrate.